As an alternative to bringing your caravan down every time you want to go on holiday, a number of our visitors reserve a seasonal pitch at Diamond Farm. At the start of the season you choose a pitch on Diamond Farm and bring your caravan down. You can then set up the caravan for the season knowing that you will have exclusive occupancy of that pitch until mid October. Most pitches have a paved patio area to the side of the caravan and all have electric hook up. These pitches also include parking on hard standing next to pitch, hard standing for caravan and also the awning. Awning can be left up for all season, however we do advise caution, especially at the beginning of the season when we occasionally experience high winds. By prior arrangement we can also arrange for your caravan to be booked into winter storage, whereby your van is stored from October to March in a secure area at Diamond Farm. Owners should ensure that nothing is stored outside the caravan or in awning and their area is kept tidy at all times. Only one pet is allowed per caravan without prior approval. Caravans will only be accepted if in a good state of repair,with all legs, tow hitches and brakes in full working condition. Caravans are expected to be younger than 15 years old . All caravans on site must be fully insured for all liabilities. 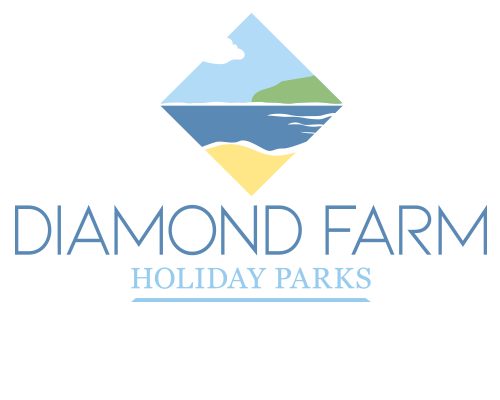 If you decide you would like to a seasonal pitch at Diamond Farm, please could you complete the contact form below and we will get back to you as soon as possible.